Create Holly a professional online presence for her newly established business. 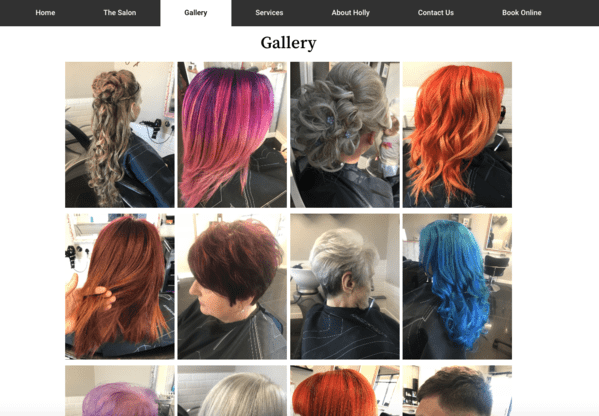 Provide HollyJayne Hair Establishment’s clients a professional digital hub of information regarding the salon, staff, services and previous customer reviews. 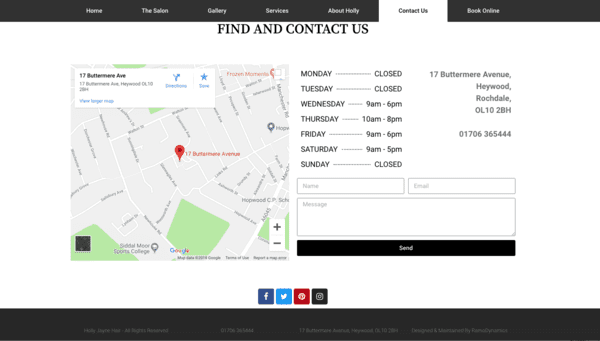 Creating a bright and personalised website that looks great on any device. Holly Jayne Hair Establishment specialists in precision cuts, creative colouring and bridal work. 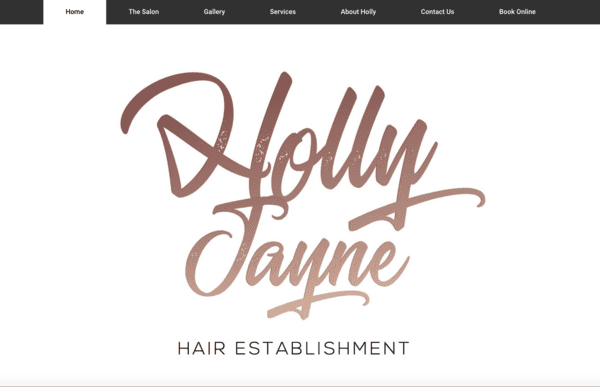 We’ve created a lively, easy to navigate website for Holly and have gone above and beyond to create a website as special and inviting as Holly Jayne Hair Establishment itself.